In conservative Douglas County, Colorado, school choice depends on whether the teachers union’s cash stash can buy victory for just one leftist anti-choice school board candidate and defeat conservatives running in the upcoming November election. 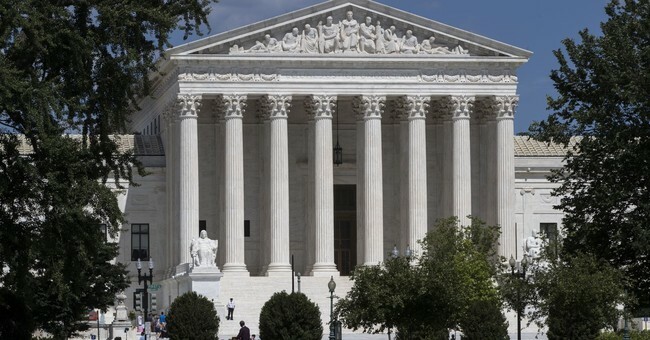 Back in June, the Supreme Court sent back to the Colorado Supreme Court for reconsideration the judges’ 2015 ruling that had declared the Douglas County Scholarship Program unconstitutional on religious grounds. The pilot program, created in 2011 by a conservative “reform” school board, awarded taxpayer funds or vouchers to 500 families to help pay for their children to attend private schools, including religious ones if they chose. But the ACLU and other leftist groups immediately pounced with a lawsuit (Doyle v. Taxpayers for Public Education). The Colorado Supreme Court ruled to halt the program, citing the Blaine Amendment to the state constitution which, in a wave of anti-Catholic prejudice in the 1880’s, forbade public money from funding religious schools. Then came the federal Supreme Court decision last June upholding the right of a Lutheran school playground to benefit from public funds. The decision gave Colorado pro-choice advocates new hope that the scolding from the nation’s highest court would inspire the Colorado Supremes to reverse their anti-choice decision. The 9-2 Supreme Court decision seems to support that optimism; in his concurrence, Justice Neil Gorsuch said the decision’s principles should be understood in a broad context. “The general principles here do not permit discrimination against religious exercise,” he wrote, “whether on the playground or anywhere else.” “Anywhere else” could certainly be construed as schools. Further cause for rejoicing on the pro-choice side came from the dramatic dissent of the two extreme left justices, Ginsberg and Sotomayor. That Justice Sotomayor declared the Trinity Lutheran decision a “radical mistake” could indicate that she too believes the religious liberty principles involved in the case reach far beyond playgrounds – encouraging news for school choicers. But it seems the Colorado Supreme Court is in no hurry to decide. Many think the judges are waiting to see if the Douglas County School Board, which currently has a slim 4-3 conservative pro-choice majority, will flip to anti-choice in the election. All four of the anti-choice “Dream Team” candidates stand firmly with the teachers unions and against the Scholarship Program, so if only one of them wins, their new majority will simply vote to end the pilot program and with it the court case. One of the “Dream” candidates, Kevin Leung, is even a plaintiff in the Supreme Court school choice case against the very Douglas County school district for whose board he is running. But the “Elevate Douglas County” pro-choice conservative candidates promise to continue the court case and keep fighting for parental choice. They are a diverse lot – Randy Mills, a parent with an electrical contracting business who wants to see more vocational partnerships with schools and local companies; Ryan Abresch, a young parent who served as a Colorado deputy district attorney; Debora Scheffel, the dean of Colorado Christian University’s School of Education, with a master’s in special ed and Ph.D. in education; and Grant Nelson, a shopping center developer who is skilled in negotiating tough issues such as those faced by the school board. In the last several years, the teachers unions in two of Colorado’s largest school districts --Douglas County with 68,000 students and nearby Jefferson County with 86,000 students – have been alarmed to see their power eroded by the election of conservative “reform” board members and the resulting growth of public charter schools. The unions' response has been to flood recent elections with over half a million dollars in TV ads and huge mailings, inciting fear of choice, education reform, and the teacher merit pay plans that are blowing up the rigid union-controlled seniority system and other archaic rules. In Jefferson County, the unions threw $285,000 into a recall election against three recently elected pro-choice board members. The voters were constantly lied to by the anti-choice candidates who assured them no union money was involved in their “grassroots small-donor” campaigns. The unions’ vicious, well-funded campaign succeeded in defeating the pro-choice board members, and now the new anti-choice board is going after the district’s successful public charter schools, many of which have waiting lists of hundreds of families. The stakes are even higher in the current Douglas County election where the survival of the union hangs in the balance. Four years ago, a union coalition spent over $230,000 in the school board race, but their union-backed, anti-choice candidates were defeated. Thanks to its conservative school board, Douglas County parents now have a choice of traditional public schools, or 15 public charter schools that offer special focus in STEM fields, classical education, the arts, and more. Of course, the teachers union hates competition and choice. But the current election is an even more drastic threat to them since they lost their Douglas County union contract and iron grip on its schools in 2012. Two major deal-breakers ended negotiations between the school board and the local Douglas County Federation union: the union’s insistence that taxpayers continue to pay $300,000 in salaries to non-teaching union executives; and their demand the district keep using money and staff resources to deduct union dues from teachers’ checks and send the money to the mother ship in Washington, D.C. When the district refused and terminated the union contract, about one-third of its membership dropped out of the teachers union which then lost hundreds of thousands in dues. Agitators in identical union t-shirts created pandemonium at school board meetings, shouting down citizens and board members alike. Now the union, in a desperate play to get its money and power back, will soon launch vile attack mailings and TV ads about the evils of choice and charters as they have in previous local school board elections. They and their allies are already accusing the Koch brothers’ Americans for Prosperity (AFP) conservative group of spreading “dark money” to candidates. But AFP teams are simply walking local neighborhoods, advocating school choice. As a 501©(4) organization, they are not allowed to promote candidates. Ballots start appearing in mailboxes by October 18. This critical election determines whether or not the Supreme Court case for religious liberty goes forward, and what happens in the 38 other states that have used their anti-religious Blaine Amendments to halt school choice. And it determines whether the unions can continue their stranglehold monopoly on schools and funding which has stunted education in America for decades. Though the anti-choice union candidates always cry they’re “for the children,” the American Federation of Teachers president Albert Shanker in 1985 revealed the true nature of the beast when he told the Meridian (Miss.) Star newspaper “When schoolchildren start paying dues, that’s when I’ll start representing the interests of schoolchildren.” Parents beware.